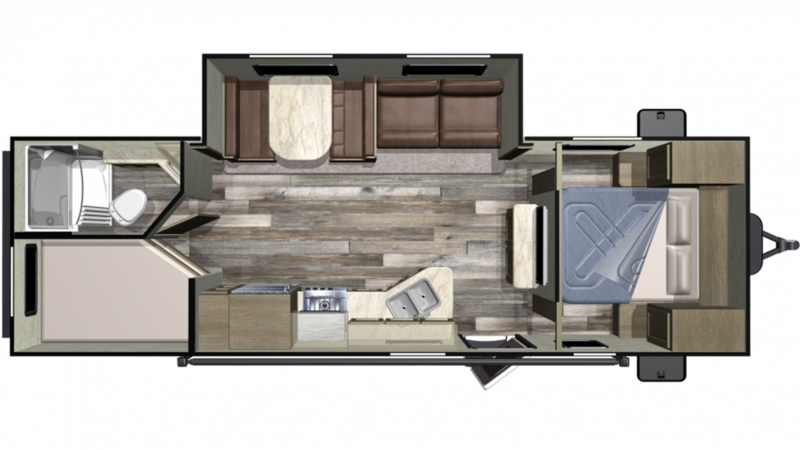 Visit every national and state park of your dreams with the 2019 Starcraft Autumn Ridge Outfitter 26BHS Travel Trailer! 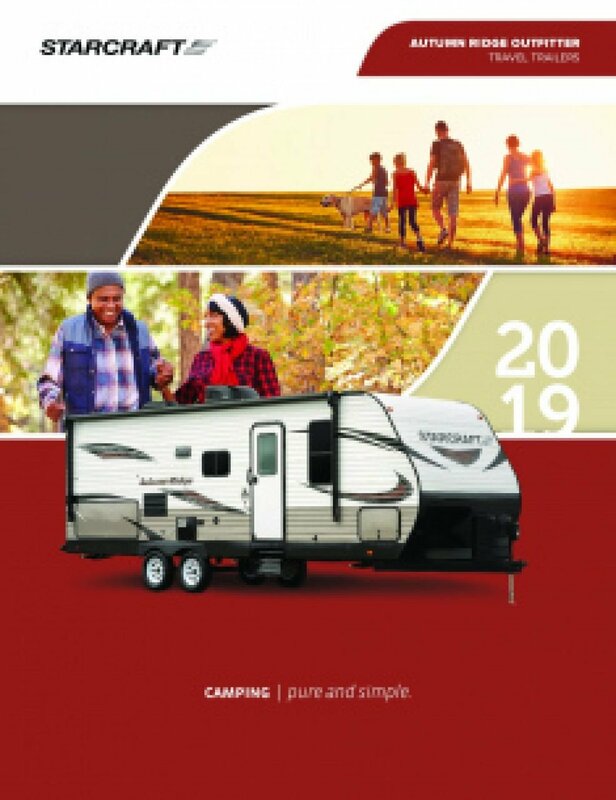 Since 2008, National RV Detroit in Belleville, Michigan has been one of the country's top, full-service RV dealerships thanks to our huge selection of top RV brands and our unbeatable wholesale prices that will make you smile! Even if you don't live in the Belleville area, with our fast, reliable 24/7 delivery service anywhere in North America, you can visit us online, find your dream RV, and give us a call at 734-439-3400! You'll get your perfect RV delivered right to your door at a great price, and you'll be on the road in no time! With its GVWR of 7500 lbs. and hitch weight of 765 lbs, this RV can travel across the country without any issues! For some much-needed shade, pull out the 16' 0" awning with ease! At 30' 7" long, and 8' 0" wide, with 1 slides, there's great living space inside! The kitchen is fully equipped with modern cooking appliances, so healthy, hearty meals are always within reach! Store your fresh foods in the 6.00 cu. ft. refrigerator, then cook them up on the sizzlin' 3 burner range cooktop! Fill up the 48 gallon freshwater tank for an abundance of clean water throughout your trip! Experience the convenience, comfort, and privacy of your own bathroom, complete with a Foot Flush toilet and a shower, wherever you camp! With 60 lbs. of LP tank capacity, you won't have to worry about running out of hot water! Dirty water and waste are stored in the 32 gallon gray water tank and the 32 gallon black water tank, respectively. Now everyone in the family can sleep comfortably inside, thanks to the cozy Bunkbeds inside the bunkhouse! There's a total of 1 beds in this comfy camper!